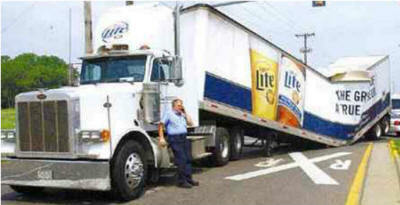 Ensure that truck and trailer brakes are set and wheels are blocked. Trailers not hooked to a tractor at a dock should be secured by trailer jacks or sufficient support. 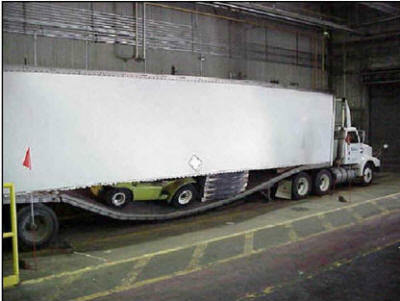 Inspect condition of truck or trailer before entering. Watch for holes or weak floors. Watch for trash, loose objects and obstructions. 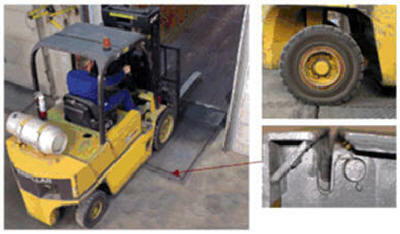 Ensure the floors will support the combined weight of the forklift and the load. 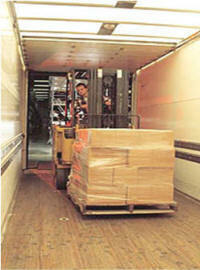 Do not allow pedestrians in trailers while a lift truck is loading or unloading. The likelihood of being crushed by a forklift is greater in tight spaces. Ensure proper lighting in trailer and work area. 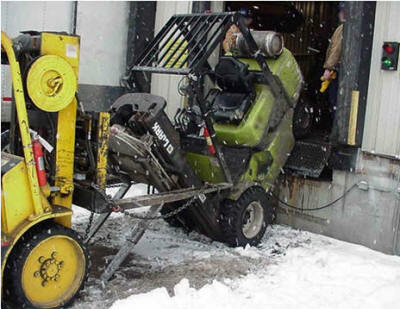 Never park a forklift on a dock plate. 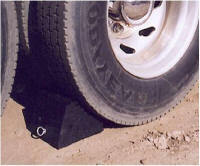 Ensure that portable dock plates are properly secured before driving over. 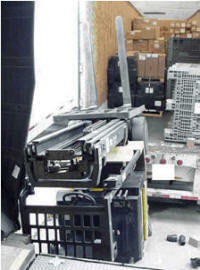 Ensure plate capacity is capable of supporting forklift and load. 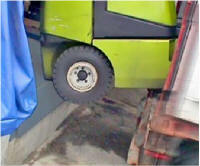 Dock levelers must be extended and securely resting on trailer floor. Install anti-slipping material in any area that could be a hazard due to weather conditions. Ensure that docks and dock plates are clear of obstructions and not oily, wet or coated with ice or snow. Know where to find safety salt, ice melter or oil absorbent.